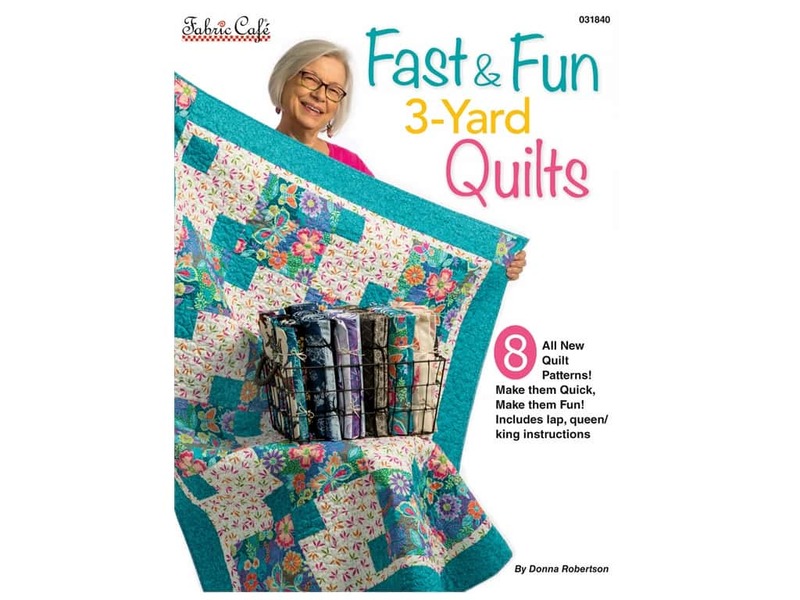 Description: Fabric Cafe Books Fast & Fun 3-Yard Quilts Book- 8 fast and fun lap quilts using only 3 yards of fabric. Simply take one-yard cuts of each of three fabrics and piece a beautiful quilt top with binding and borders. Includes an assembly diagram and step-by-step directions. Enlarging instructions for twin and queen or king toppers. Note: all patterns require 3 fabric styles. Twin size requires 2 yards of each, and the queen or king size requires 4 yards of each. 19 pages in a soft cover. See more Fabric Cafe Books.